Sometimes you stumble across a portfolio where the artist only has a couple of comic based pieces, other times there can be just one work so brilliant, you'd risk being stoned to death by fellow art lovers for putting something else beside it. These are Random Works of Wow, although this work is from a guy who is neither of the above. Eddy Newell, I found long ago on Black Lightning. Today, I found his Magneto and if you don't think 'Wow!' applies, I'll refund your time. 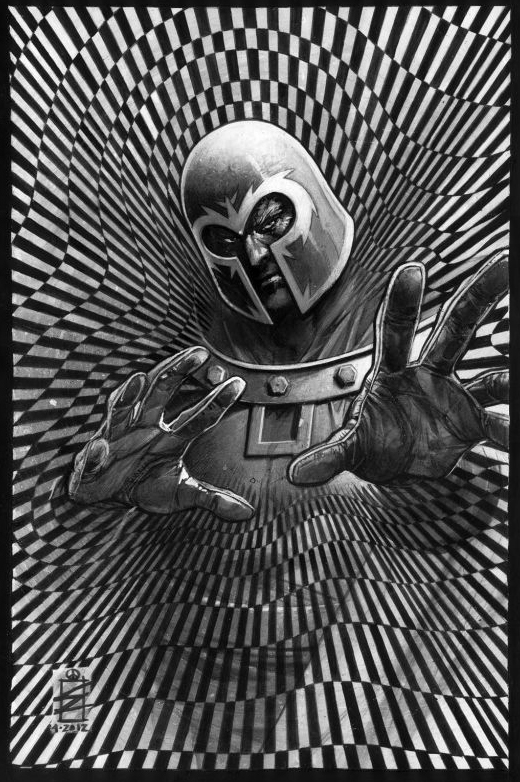 Isn't it amazing how one simple visual technique can make a character as prominent and historic as Magneto seem all-new and all-formidable? What do you think? While Eddy has already sold this work (whatever it was for - it wasn't enough), you can find more sketches for sale on his website after the jump. the 'magnetic power' is depicted in a totally original way . 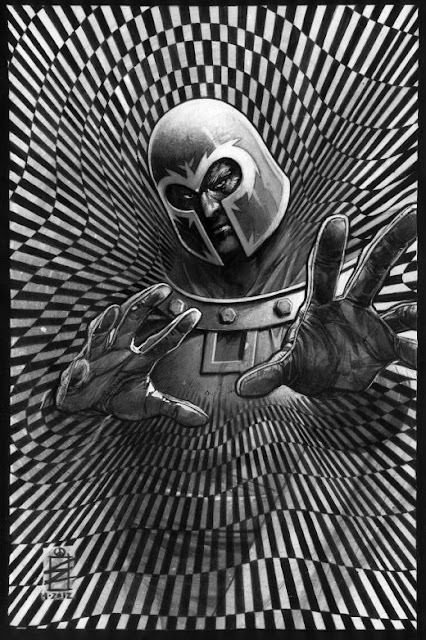 It really shows Magneto's focus and the effect it would maybe have on the victim. Baab, I completely agree - and in black and white too. Infact the lack of colour adds so much, I'd be hessitant to put any on there! I love the detail. Doesn't even look like ink, it looks like it's all pencil. Glad you guys liked it too. I'm thinking its pretty poster worthy myself! That gives all that magnetic feeling and is really a work of wow! I think that settles it Aliera! This is one of the most popular wow-inducers of all. Glad you liked it!